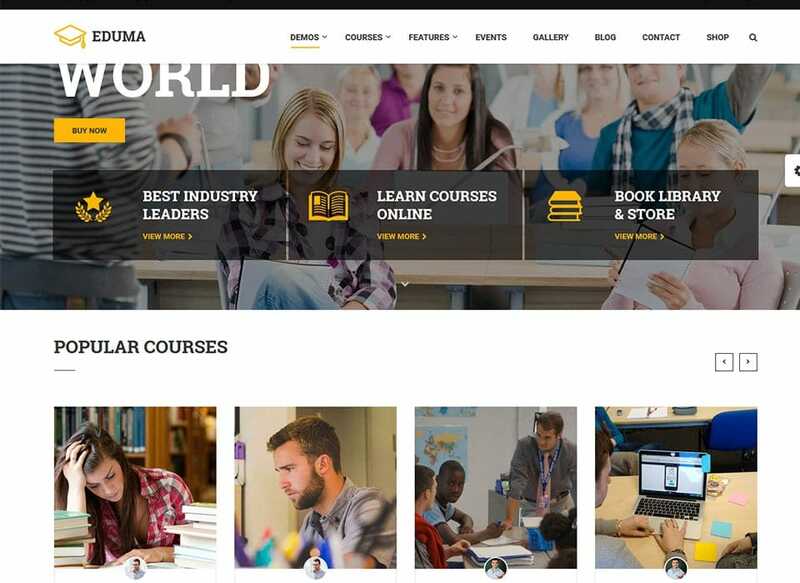 Today we are going to see the best education WordPress themes collection. People are spending a significant amount of money for education. Most of this amount is used in online courses that have gained high popularity. Being an owner of a high school, college or university; you should consider launching a website that may help you provide better online services to the students. A well-designed website may also help those individuals looking forward to building educational web, high school, LMS, Training Center, Online Courses Hub, College, Learning Institutes, Academies, University and education-related website. WordPress is an amazing platform that can be used for creating any kind of website including education sites for high schools, colleges, universities, or other institutes. With a large number of free and premium WordPress themes, it is possible to come up with a highly professional education WordPress website. For some individuals, learning is a joyful experience. Therefore, it’s vital to pick a theme that looks welcoming while providing the functionality required to see students through their course. Those features are something that Education theme has in the bounty. 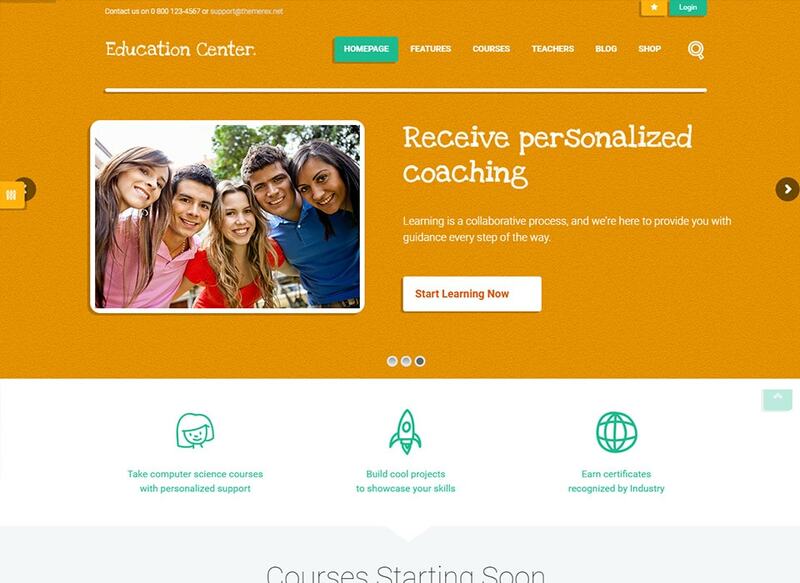 With the default accent yellow color, Education theme looks bright and inviting that evokes a sense of warmth. It comes with nine different demo layouts that can be imported with one click. Besides, the layout of the theme can be easily created and modified with the help of bundled SiteOrigin Page Builder plugin. You also get a wide range of additional plugins with this fully responsive theme that can be further used to make your site more functional. Considering the excellent features of Education WP, it’s clearly top of the class. 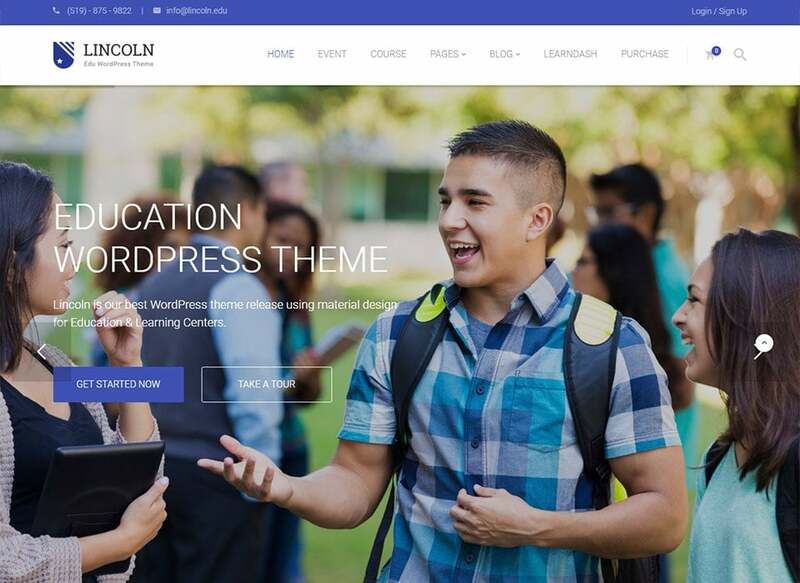 Comes with a modern layout, Lincoln is a fully responsive theme which is specially designed for individuals looking forward to creating a dynamic and multi-functional website for their school, college or university. It comes with some remarkable features such as homepage layouts, parallax scrolling, and premium plugins such as Visual Composer. You don’t need to have programming skills to create a professional website. Lincoln is designed for providing an excellent educational experience. If your school organizes some events, then this theme will let you inform everyone with a lavishly detailed events calendar. One of the most compelling features of Lincoln is the Learndash plugin that allows you to upload a syllabus, quizzes, grades, and other reading materials with ease. 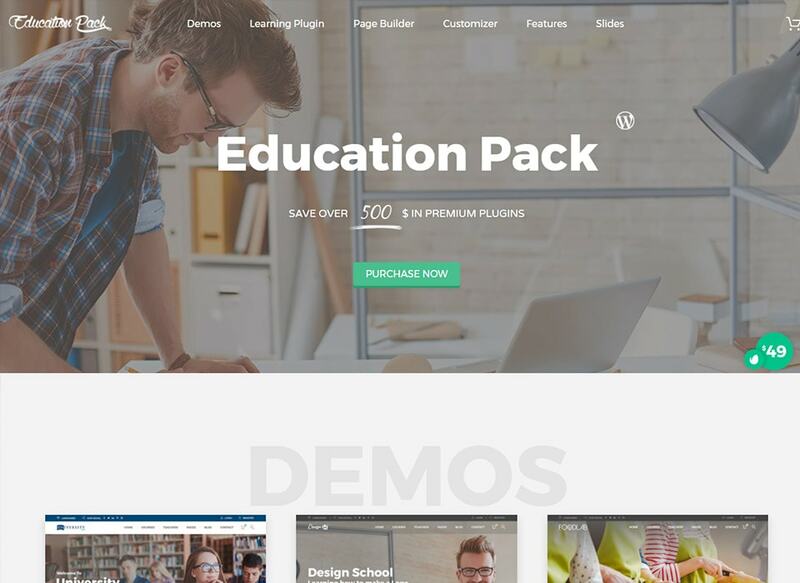 Comes with nine demo templates, Education Pack is a fully responsive theme which is ideal for driving schools, universities, and more. With Visual Composer, Learning Course and TimeTable plugins, Education Pack is an ideal educational theme. It comes with a pleasant and inviting layout that can enhance the overall look of your site. With some powerful plugins, Education Pack can make your website highly functional. However, it’s a theme you can believe in while developing your education website. Comes with rich in premium plugins, Masterstudy is a highly professional theme that can create an amazing experience for both students and educators. 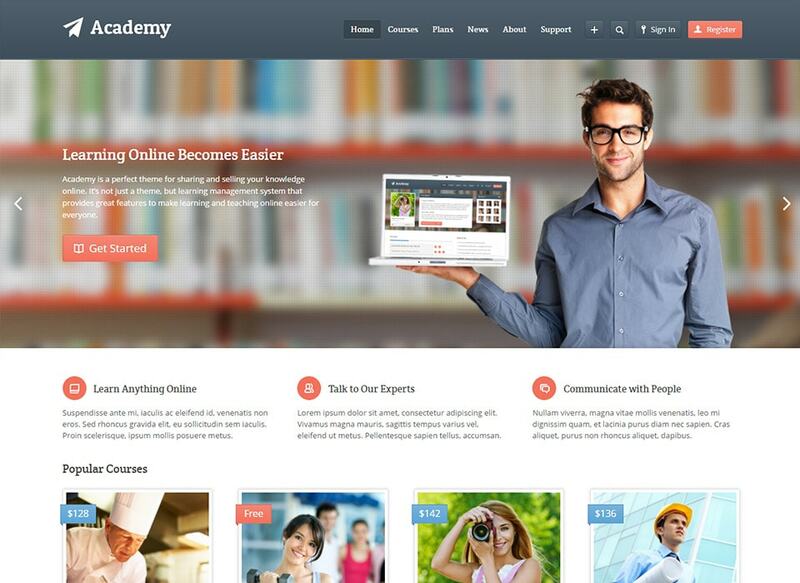 If you are looking forward to providing online courses, then this theme is designed for you. Besides, the theme can be integrated with the premium WooCommerce plugin that helps you quickly add listing courses. It comes with four different kinds of blog post layouts, three types of video galleries, and three kinds of event templates that help you customize your website and add more engaging features. 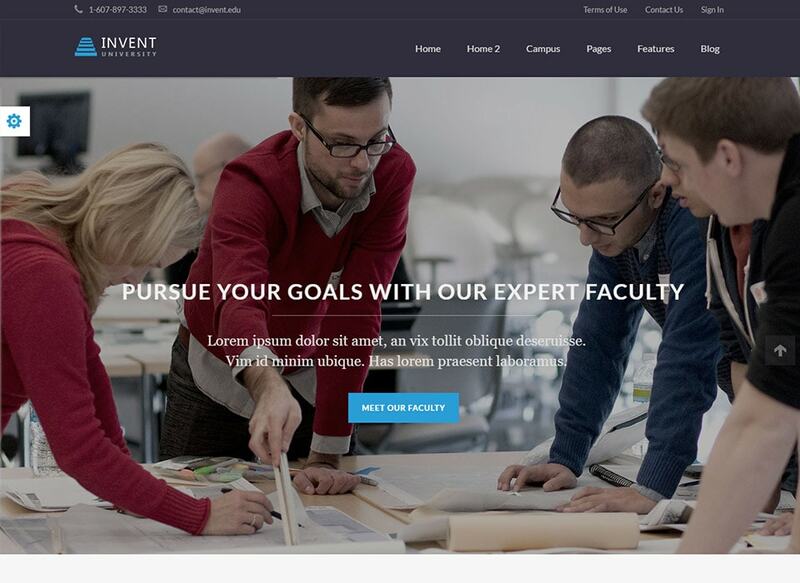 Comes with a modular framework, Invent is an ideal theme for colleges, universities, and other types of schools. It also provides unlimited color options, unlimited sidebars, 500+ Google Fonts, eight custom post types, shortcodes, and a large number of heading styles. Invent also provides video sections that help you liven up your content. It is comprised of several featured plugins such as WooCommerce, Contact Form 7, Revolution and Nivo sliders. Invent works flawlessly with the LearnDash learning management system that allows you to manage quizzes, certificates, subscriptions, and reporting. You can even use it to create sidebars, styles, posts, and page templates. This professionally designed theme helps you create an easy-to-navigate website with ease. With a large number of Google Fonts, the theme also comes with six color schemes that can be customized with an extensive color palette. Moreover, it comes with LayerSlider plugin that allows you to showcase any information prominently. With Visual Composer plugin and Addons extension, it is easy to enhance the functionality of your website. With its Events Calendar plugin, you can schedule any relevant events, while the Timetable plugin lets you manage your course timetables. 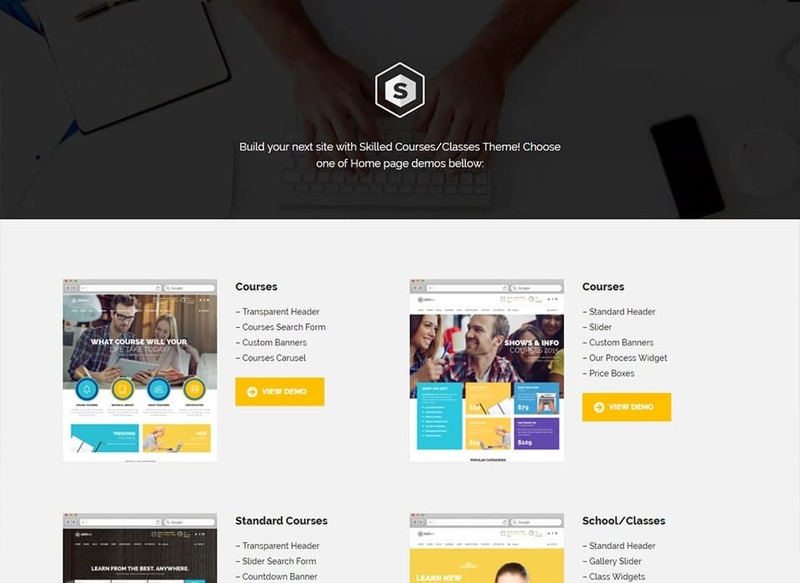 WPLMS is one of the best to selling ThemeForest themes available in the education category. It is known as a learning management system that helps you create and sell courses online. Comes with an intuitive interface, WPLMS is a fully responsive theme that works well on all kind of mobile devices. It also offers free updates and support with several popular plugins such as BuddyPress, Layer Slider WooCommerce, and Visual Composer. It is an ideal option for those looking forward to building online childhood and primary educational institutions. One of the most impressive aspects of this theme is the font styles, brilliant primary colors, friendly icon and cool scrolling effects that provide energy to the homepage of your site. It comes with three homepage layouts that allow you to add galleries with the news. From parent-teacher meetings to class field trips, you can easily provide updates. 10 predesigned templates and make it easy to optimize your WordPress website for online searches. With a responsive Mega Menu and animated slider; EDU is fully responsive WordPress theme that works flawlessly on smartphones and tablets. It comes with an impressive homepage that grabs the attention of site visitors. The modern yet clean design of EDU makes it perfect for online courses and traditional schools. WooCommerce is also compatible with EDU means users can register for classes all at once. 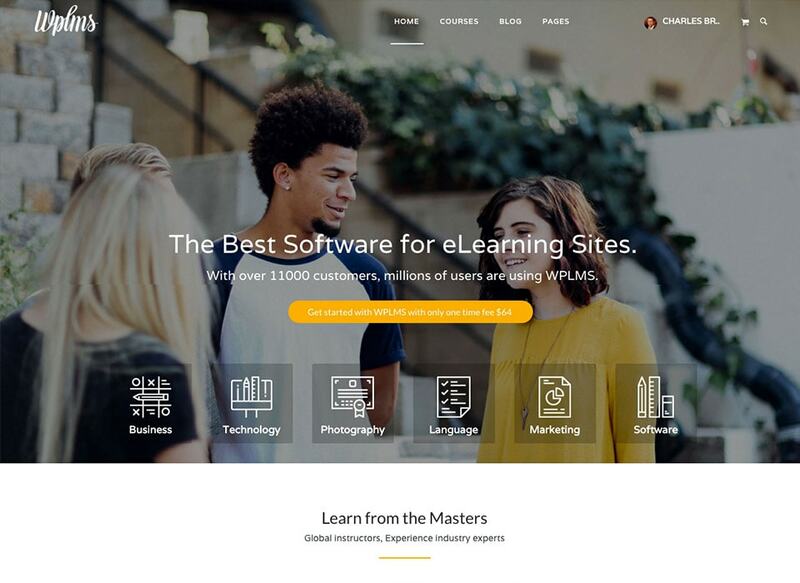 Besides, it comes with some great tools such as Layerslider, stToolKit Smart Page Builder, and course builder that allow you to create course details and lessons with ease. It is an ideal choice for higher education providers offering extensive coursework and extracurricular activities. 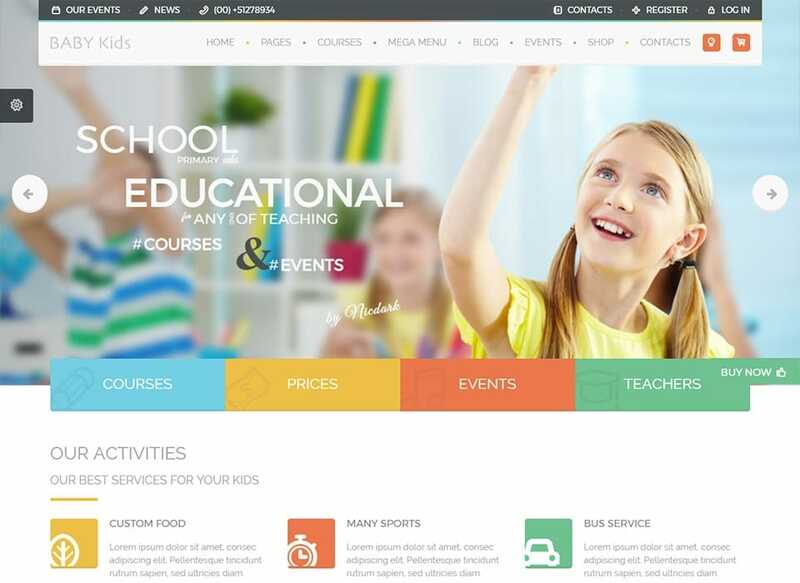 With several add-ons and sleek homepage, UOCE theme is one of the most popular education themes. You can also add financial aid, downloadable forms for applications, and other significant elements that your website visitors may find handy. 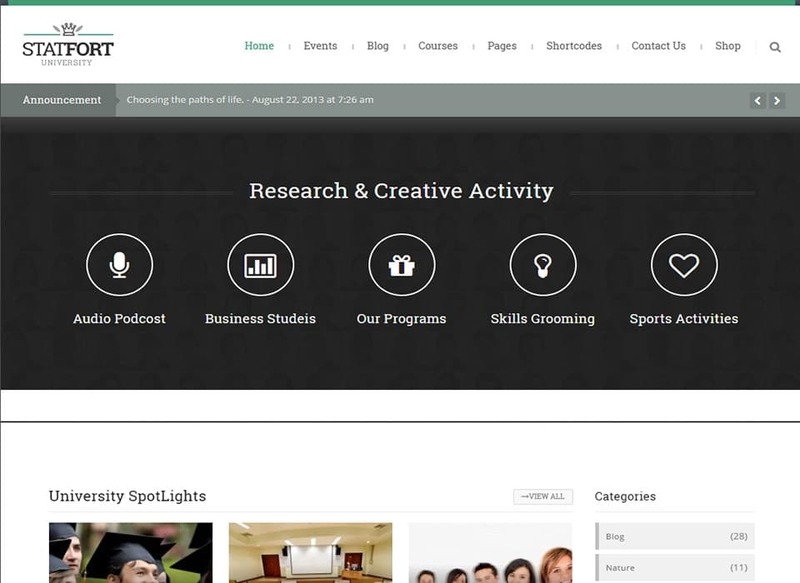 You can organize the courses in four different layouts, allowing visitors to browse classes with ease. With functional layouts and some amazing features, UOCE is a well-suited education theme. It is another most popular education theme that works as a comprehensive learning management system. Comes with a stunning homepage, it is an ideal theme for those looking forward to selling online tutorials. It can be well integrated with Google Analytics and WooCommerce. Extended user profiles allow site visitors to register, upload an image, edit profile, choose the courses and track their improvement. With shortcodes editor, contact form builder, and four custom post types; Academy is one of the best education themes you should consider using this year. Statfort is a clean, fully responsive and retina-ready theme which is designed for universities, colleges, and educational websites. With plenty of customization options, the theme allows you to make your site more functional. Your students will be invited by an appealing menu – which is connected to featured categories and displays recent headlines. With unlimited sidebars and you can easily showcase professor profiles, news stories, course titles and more. Based on the SuperSkeleton framework; It is a mobile-friendly theme that provides a modern feel. It also comes with powerful drag-and-drop page builder that makes it easier to create amazing websites. It also comes with the Google Fonts library that allows you to see the preview of the particular font in the admin panel before choosing them. If you’re looking forward to coming up with an e-commerce website, WooCommerce is compatible with the Campus theme. 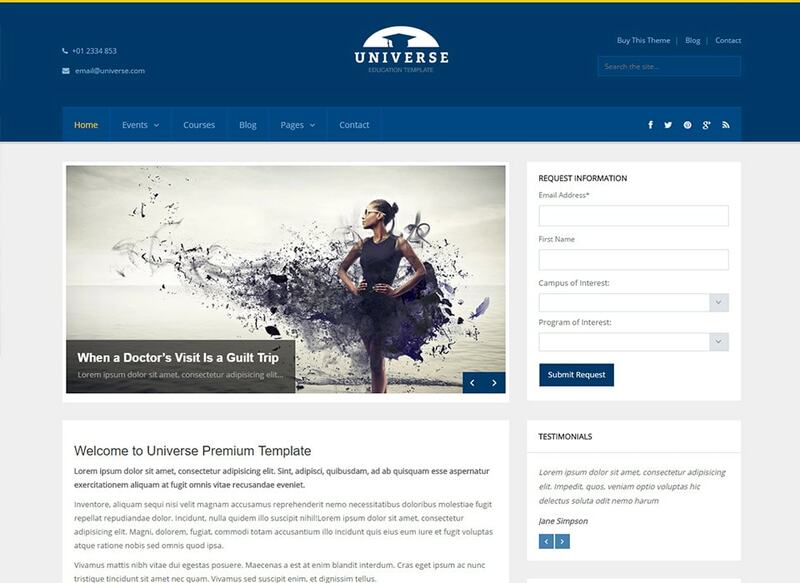 Comes with a simple design, Universe is a highly-professional education WordPress theme ideal for colleges and universities. It provides you with a plenty of options to showcase your schools at best. This responsive theme comes with four pre-designed color schemes that make the customization process easier. With 600 different Google Fonts, fantastic icons, unlimited sidebars, Universe is created for search engine optimization. Baby Kids is another popular education WordPress theme designed for a variety of schools, kindergartens. With parallax scrolling on the homepage, you can give your website a fresh and modern look. With Visual Composer plugin, you can create custom pages. It also comes with Timetable plugin that enables you to post your schedule and sort it out for specific classes and events. Moreover, it easy to customize the backgrounds and choose the desired fonts from hundreds of Google Fonts. 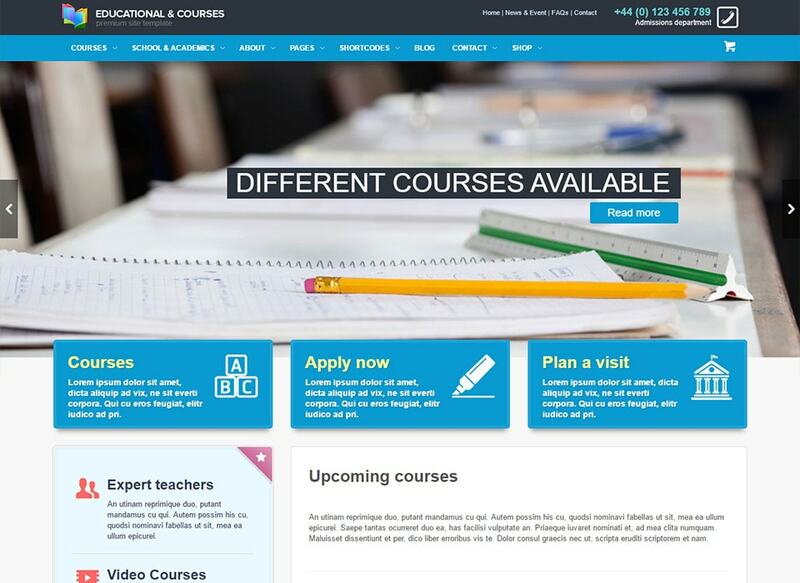 All of the themes mentioned above comes with a responsive layout and well suited for education websites. You can choose any one according to your needs and preferences. Gaurav Mali works as a content writer and project coordinator at Baymediasoft – a WordPress Theme development Company. He is passionate about keeping himself up-to-date with the latest web and mobile technologies.